Chevrolet Cruze vs. Buick Verano. Visit Sullivan-Parkhill Auto Group! The latest models of the Chevy Cruze and Buick Verano are showstoppers – two sedans that will have you hitting the road in style. While both have tremendous appeal, there are some compelling reasons why the Cruze is the superior choice. Let’s hear about them! One look at the 2017 Chevy Cruze is all it takes. Sporty, edgy, and bursting with energy, this compact sedan is available in a variety of vibrant colors. Its sleek, aerodynamic design features sculpted edges and a spacious, modern interior that offers slightly more legroom (1.4 inches) and headroom (.6 inches) than the Verano. And, the new Cruze Hatch offers hatchback styling with the same roominess as the sedan. 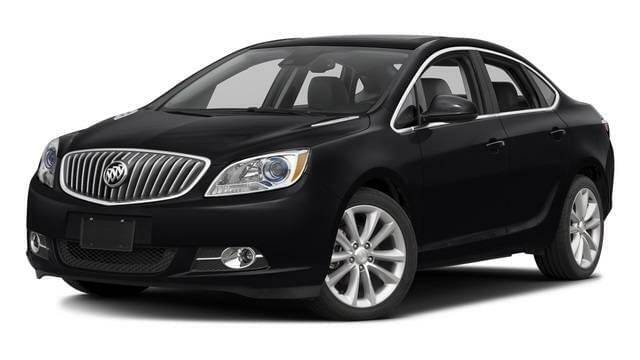 The 2017 Buick Verano has a more traditional design with its large grille and quiet interior. Both models offer options at higher trim levels for projector-beam headlamps, LED daytime running lamps, and more. The cost of keeping your vehicle filled up is one of the most important things to think about before buying. While the Verano has a larger fuel tank, at 15.5 gallons compared to the Cruze’s 13.7 gallons, there is a huge difference in fuel economy. The Cruze performs at an EPA-estimated 30 mpg in the city and 40 mpg on the highway, which is simply awesome. The Verano is significantly less competitive, with its EPA estimate at 21 mpg in the city and 31 mpg on highway. How much do these cars cost? Well, both have appealing price tags, designed to make it possible for people to get into new cars at low price points. The Cruze has the advantage here, with the starting MSRP for the LS Automatic at $20,400, compared to the starting price for the base Verano, which is $21,065. The most entry-level Cruze, the L Manual, begins at an unbelievable $17,850. The 2017 Chevy Cruze and the 2017 Buick Verano definitely lead the pack when it comes to compact sedans, but only one can come out on top. 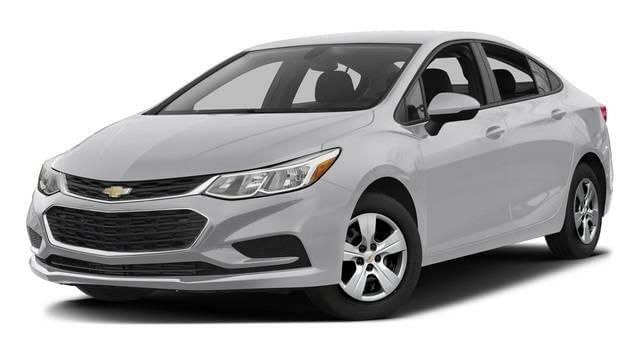 If you’re looking for something with a modern, athletic design and great gas mileage at the lowest price possible, than you just have to choose the Chevy Cruze. Learn more at Sullivan-Parkhill Auto Group, where we’ll get you on a test drive and give you all the information you need. Contact us now, and we’ll get you on your way!